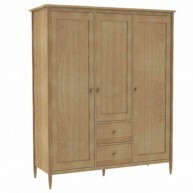 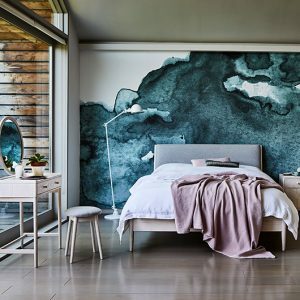 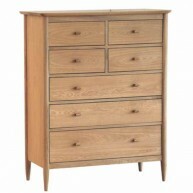 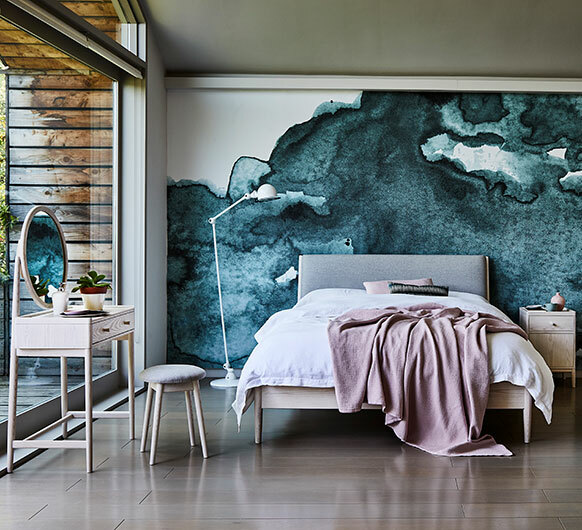 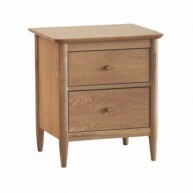 Categories: Salina Bedroom, Salina Bedroom, Bedroom, Dressing tables, Ercol Tag: Salina Bedroom Brands: Ercol. 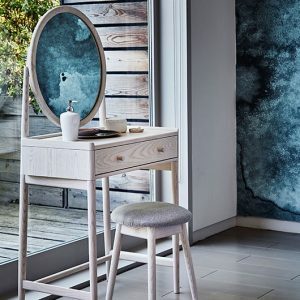 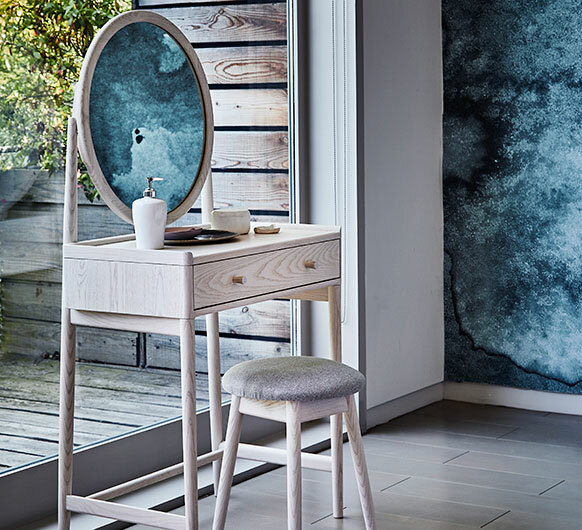 The Salina dressing table stool is presented in the same white washed stain and clear matt lacquer as the Salina range and will sit perfectly on its own or particularly at the statement dressing table and mirror of the same range. 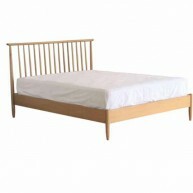 There is a fabric seat for comfort which is in the same soft grey toned fabric as the headboard on the Salina bed.